ORDER YOURS TODAY! FREE SHIPPING through September 16th! 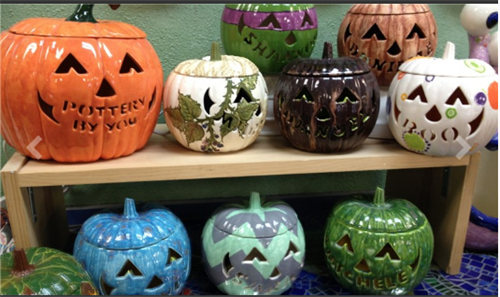 Pumpkins will be here by the first week in October - we will give you a call when they are here and ready for you to paint! When you place your order there will be a spot to enter the name you would like carved on the pumpkin - please pay attention to the number of letters available for each sized pumpkin!